Westminster College (PA), Mathematics and Computer Science- B.S. After graduating with a master’s in mathematics from the University of Virginia, Dr. Perkins began teaching high school Calculus and Algebra. She has taught and served in school leadership roles in four Virginia districts throughout her 27-year career in public education. 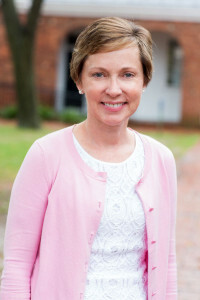 Dr. Perkins brings her passion for educating high school students to CBGS, having joined the school as Director in 2015. Dr. Perkins believes that CBGS is poised to be a school that has not only a rich history of success, but also a bright future, especially given growing global environmental awareness and emerging STEM initiatives in education. Dr. Perkins values close connections with staff, students, families, and district partners and looks forward to getting to know students and families even better as she continues her time at CBGS.